Kerala state in India was carved out of the Madras State in 1956 as a result of reorganisation of states based on linguistic lines. Until then, it was called Madras State – a name that was derived from Madras Presidency of British India. The then state of Madras was reorganised into four: Madras, Mysore, Andhra Pradesh and Kerala based on the linguistic majority of Tamil, Kannada, Telugu and Malayalam respectively. Incidentally ‘Malayalam’ is the only language in the world which forms a Palindrome- when spelt in English would read the same both right to left and in Arabic style left to right. A person whose mother tongue is Malayalam is called a Malayalee. In recent times the nextgen has stylised this to ‘Mallu’. Madras State was renamed Tamil Nadu in 1969 and their Kannada speaking brethren renamed Mysore to ‘Karnataka’ in 1973. Andhra Pradesh was further subdivided to form Telangan State in 2014. The city of Madras changed its name to Chennai in 1996. The only vestige of the erstwhile Madras Presidency in the Indian Army is the Madras Regiment – a group of Infantry Battalions and Madras Engineering Group (MEG) manned by soldiers from the erstwhile Madras Presidency states and in the civil front, the Madras Cricket Club (MCC). Even though the Madras Presidency became history and the Madras city changed its name to Chennai, the North Indians, until recently continued to refer to the people by the demonym ‘Madrasi’, perhaps in a wee bit derogatory sense and therefore deemed an ethnic slur. There is also a French connection to this ethnic, linguistic and colonial chaos. The French in the Seventeenth Century established trading posts in South India at Pondicherry, Karaikal and Yanaon on the East Coast in the Tamil speaking area and Mahe on the West Coast in the Malayalam speaking region. Post Indian independence in 1947, the French continued to hold these areas until 1954. A general election involving 178 people in Pondicherry Municipal and Commune Panchayat was held in 1954 and 170 people voted in favour of independence from France and eight people voted against. Thus on 01 November 1954, Pondicherry became part of the Indian Union. In order to maintain their French identity, these areas came directly under the rule of the federal government and was known as the Union Territory of Pondicherry. They also underwent a name change and became Puduchery in 2006. After formation of Kerala State, the first elections to the state legislature was held in 1957 and the world was in for a surprise. 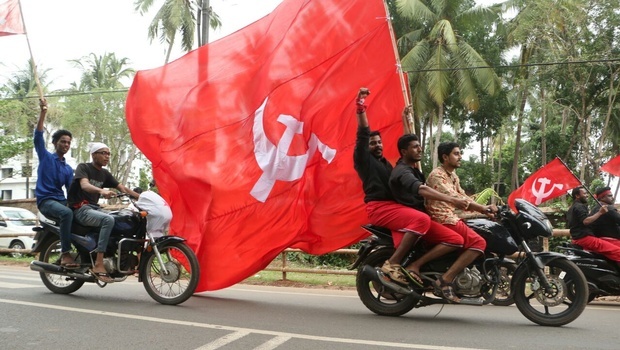 The Communist Party of India won the elections by a slim majority, forming the first democratically elected communist government in the world. It also became the first “non-Congress” ruled state in India. The Communist victory raised hackles in USA, especially at the height of the Cold War. There were concerns within India too, particularly in the federal capital of New Delhi, but Prime Minister Nehru, true to the spirit of federalism was willing to work with the then Communist Chief Minister, EMS Namboothirippad. A notable feature of the first EMS Government was the calibre of distinguished personalities who occupied Cabinet positions. They initiated thoughtful changes in state government policies, mainly oriented on enabling the poor and the downtrodden. Their actions were, in my view, mainly responsible for the current state of affairs in Kerala, with 100% literacy, good healthcare, zero population growth, eradication of poverty, very low child mortality and so on, all typical indicators of a developed country in the world. The state’s development has been so well studied that the ‘Kerala Model’ is frequently referred to by economists, anthropologists, and policy-makers alike. The United Nations’ annual Human Development Index (HDI) reports, rank Kerala along with developed countries of the world. Through the Land Reforms Act the EMS government sought to confer ownership rights on tenant cultivators, grant permanent ownership of land for the agricultural labourers, by putting a ceiling on the individual land holdings so as to distribute the surplus land among the landless. The landowning communities in Kerala, from all sections of society had an issue with this bill. The introduction of the Education Bill added fuel to fire. The Education Bill claimed to regulate appointments and working conditions of the teachers in the government-aided schools. It also mandated to takeover any government-aided educational institution, if they fail to meet the conditions set by the newly promulgated bill. Within hours of the passing of the Bill, ‘Vimochana Samaram’ (liberation struggle) was called to bring down the Communist government, mainly lead by the Churches, the upper caste Hindus and Muslim clergy, all whom had a stake in the ‘education pie’. The efforts of these vested interests along with the manoeuvres of the political front led by the Indian National Congress Party, resulted in the dismissal of the state Government by the Central Government, using the notorious Article 356 of the Indian Constitution in 1959. Be that as it may, the leftist lean continues till date and the left ideology had taken deep roots. That was the left side of Kerala state and until I was selected to join the National Defence Academy in 1978, I was in no way affected by a left leaning Kerala. When a successful candidate from a state other than Kerala, had to fill in only a few forms for police clearance, I had to fill in a dozen more. All because I hailed from a Leftist Kerala State. Now I needed a special verification from the various intelligence bureaus of the state police and the central police. 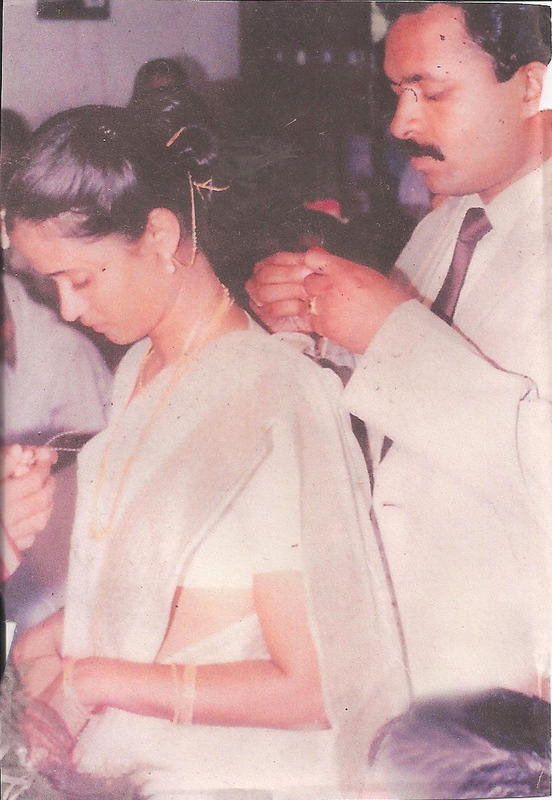 I was well advised by my father never to disclose any connection of our family to the Communist Party – my uncle M Thomas was a Communist member of the Legislature from Kottayam (1971-1977). The police clearance procedure resulted in many policemen, from different departments, making frequent visits to our home and my father had no option but to grease their palms, else his son may be denied entry into NDA. Luckily, now days, this practice seems to have ended.